High Quality Content by WIKIPEDIA articles! 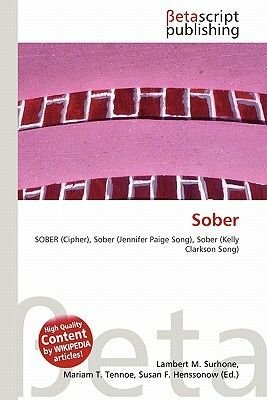 n cryptography, SOBER is a family of stream ciphers initially designed by Greg Rose of QUALCOMM Australia starting in 1997. The name is a contrived acronym for Seventeen Octet Byte Enabled Register. Initially the cipher was intended as a replacement for broken ciphers in cellular telephony. The ciphers evolved, and other developers (primarily Phillip Hawkes) joined the project. SOBER was the first cipher, with a 17-byte Linear Feedback Shift Register, a form of decimation called stuttering, and a nonlinear output filter function. The particular configuration of the shift register turned out to be vulnerable to "guess and determine" attacks. SOBER-2 changed the position of the feedback and output taps to resist the above attacks. S16 was an expansion to 16-bit words rather than bytes, with an expected increase of security.